Jaymee Coonjobeeharry is the Constant and Kit Lambert Junior Fellow of the Royal College of Music, where his professors include Paul Edmund-Davies, Gitte Marcusson, Simon Channing, Stewart McIlwham, and Kathleen Stevenson. 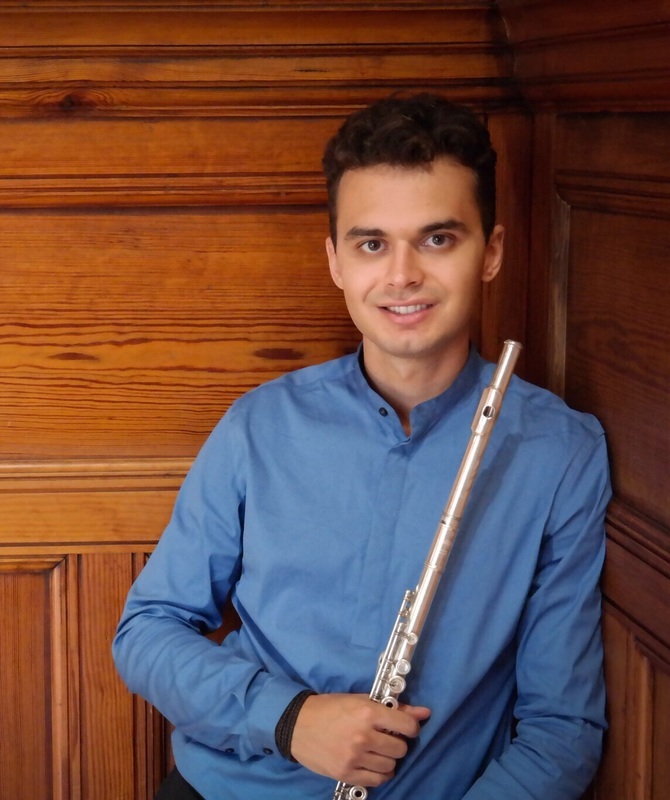 At the Royal College of Music, he has played under some of the world’s foremost conductors, including Bernard Haitink, and has been selected to perform in masterclasses with eminent flautists, including Sir James Galway. In 2016, he was accepted onto the BBC Symphony Orchestra Pathway Scheme. Jaymee's studies are generously supported by the Biddy Baxter and John Hosier Music Trust 2017 Scholarship and he is a Yeoman of the Worshipful Company of Musicians. Jaymee enjoys a diverse musical life and is currently the flute player in the National Youth Jazz Orchestra. He has worked in close collaboration with composers who have written works for him, including a Flute Concerto by Hamish Brown and a Flute Sonata by Guy Newbury. Jaymee is regularly invited by orchestras to perform as soloist and earlier this year he performed concerts with the Gothenburg Wind Orchestra, alongside Swedish flute virtuoso Göran Marcusson. His most recent solo engagements also include a performance with soprano Dame Felicity Lott, and a Classic FM video performance of 'Flight of the Bumblebee' with pianist Frederic Bager, which has received over 250,000 views to date. Whilst a student at Oxford University, Jaymee was President of the Oxford University Sinfonietta, and developed a strong interest in chamber music. He is a founding member of the Godiva Trio, which was awarded the 2017 Douglas Whittaker Wind Ensemble Prize, and recently performed Ravel's ‘Introduction and Allegro’ with the Harlem String Quartet and Harpist Ieuan Jones. Jaymee's love of music has always gone hand in hand with a passion for science. After 8 years at the Royal College of Music Junior Department studying with Margaret Ogonovsky, he was offered a place at Oxford to read Chemistry in 2011, and whilst remaining musically very active, gained a Double First Class Masters.